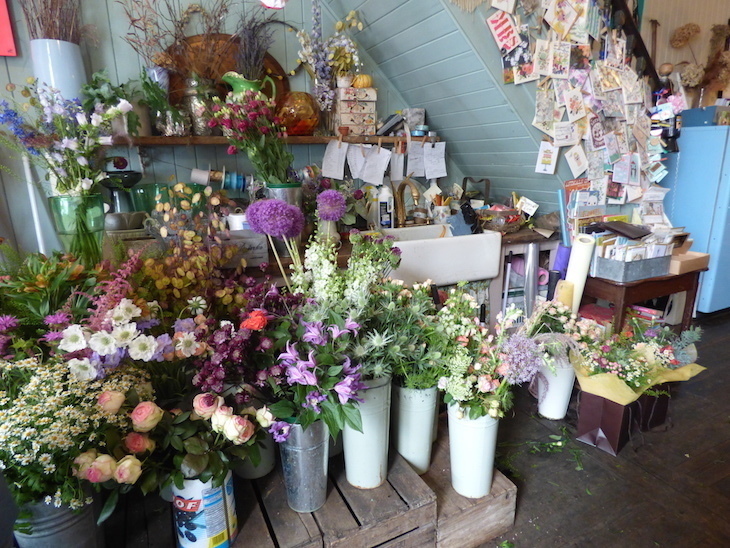 There's something charming about an old-fashioned flower shop, isn't there? 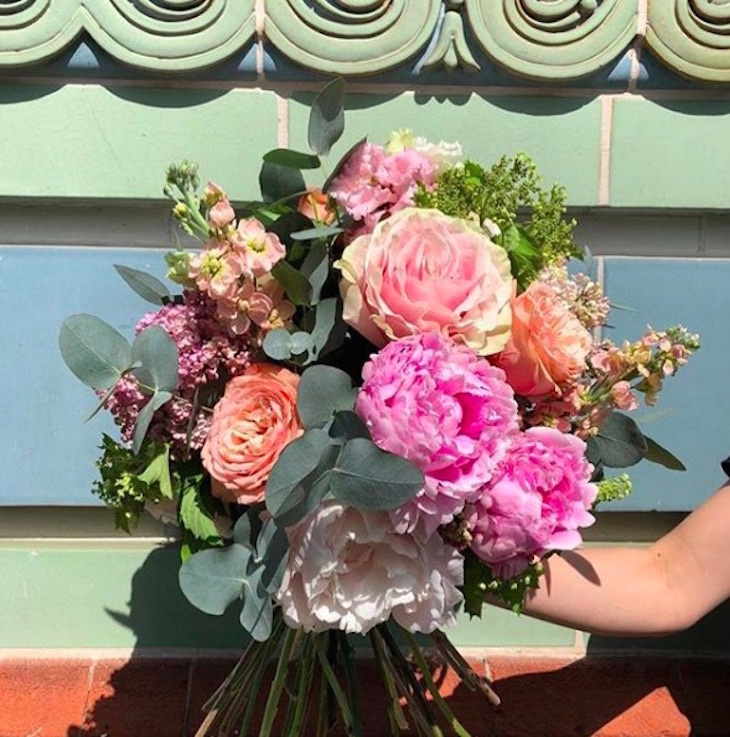 In an age of posies purchased online and bouquets designed for letterboxes, it's an absolute pleasure to wander into a florist and absorb the colours and scents of real, fresh flowers. 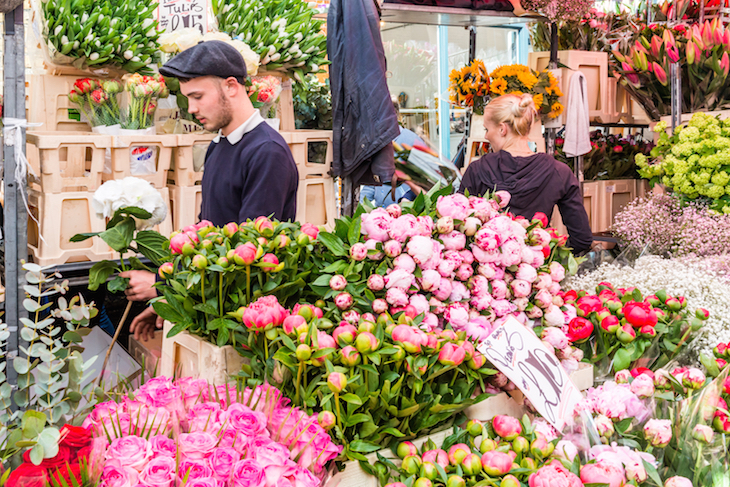 Whether you're after a romantic gift, a way to say thank you, or something to brighten up your home, visit London's best florists and flowers shops for all your bouquet needs. These are our favourites. Predominantly a garden centre, this little treasure with a punny name is tucked away in an alleyway alongside a railway track. Sounds unglamorous, but colourful bunting and quirky signs give it a kitsch (read: Instagrammable) twist. 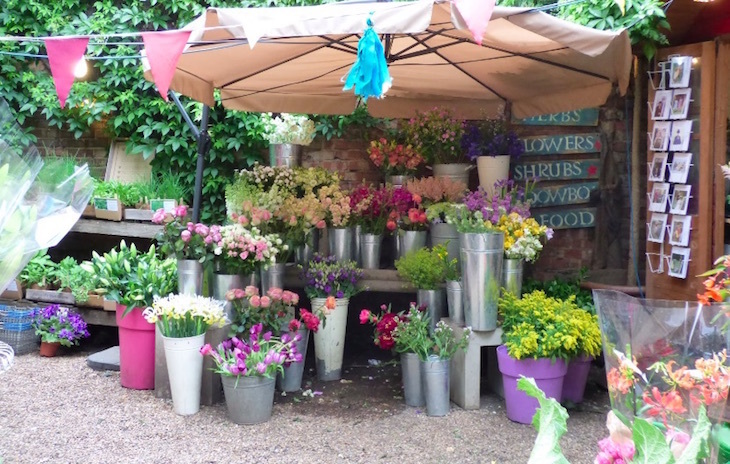 Head to the Battersea Park Road end of the passage for the resident florist, a charmingly makeshift set-up of bouquets and bunches, buckets of them spilling out of the shed and spreading beneath a large parasol. Whatever time of day you visit, the choice is always ample, and you can buy that all-important card while you're there too. Bouquets are available to order online, with delivery to SW postcodes available six days a week. Battersea Flower Station, 16 Winders Road, SW11 3HE. We'll be honest, it was the cake that tempted us to this place first, as it's a florist that doubles up as a cafe. The flowers side of things resides downstairs, with fresh bouquets and potted plants wedged in the gap under the stairs, and spilling out onto the pavements under the cute awning. The whole thing feels like a bit of a time warp — despite the railway roaring past at the end of the road, it's a very village-y area, and the sense of nostalgia only heightens once you enter the cafe, all yellow formica tables, floral patterned chairs and mismatched china. You Don't Bring Me Flowers, 15 Staplehurst Road, Hither Green, SE13 5ND. There are no frills at this stall, situated outside M&S on one of the Square Mile's busiest roads, but it's a proper London market stall. The City crowd are the target audience, yet prices are more reasonable than you'd find in many upmarket flower shops. Stock varies, but there's always a decent choice of bouquets, seasonal blooms, and a fair few pot plants and succulents, in case you're looking for something to brighten up your office desk. Moorgate Flowers, Finsbury Pavement, EC2A 1SA. Even when we're not planning on buying any blooms, we always wander past Neill Strain when in Belgravia. 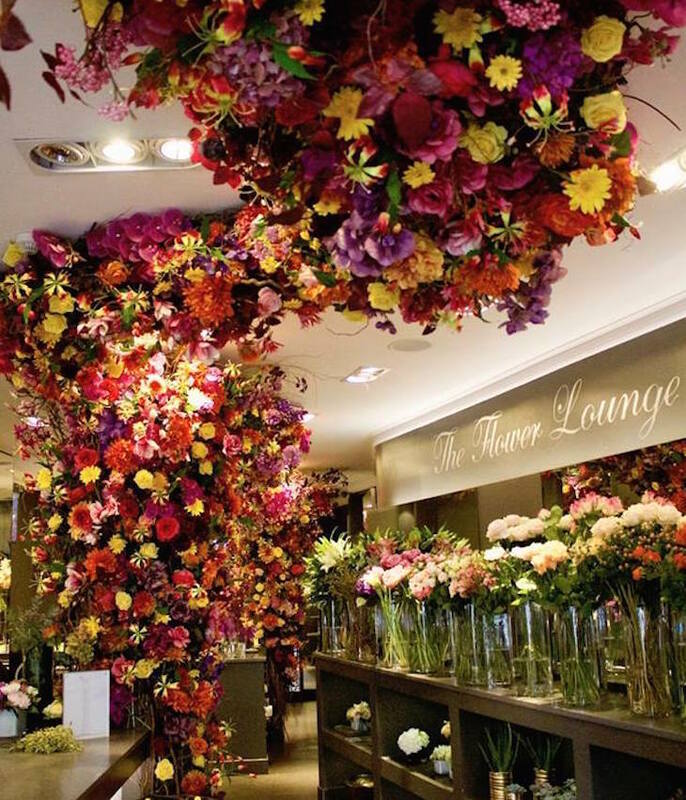 The flower shop — sorry, boutique — is a masterpiece in itself, a regularly-changing arch of flowers heralding its location (it's a bit of an Instagrammer hotspot), and it's the supplier and designer for many of the other local businesses during the annual Belgravia in Bloom festival. 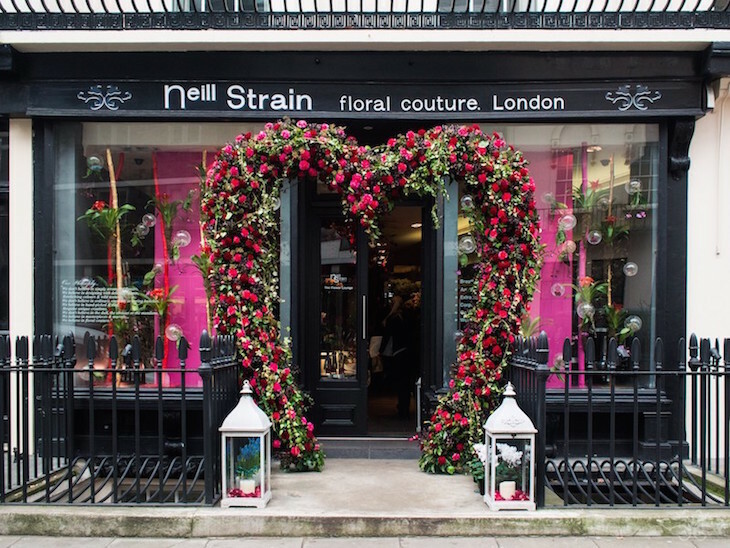 Neill Strain himself is a luxury floral designer, specialising in Dutch flowers and regularly making trips overseas to source the finest blooms. But you're probably not in the market for a whole arch to lug home on the tube. If it's a bouquet you're after, you'll need deep pockets in SW1X, as a Neill Strain bouquet will set you back the best part of £100. A 'petite couture' — that's a smaller arrangement in a pot — begins at just shy of £50. And yet the results are so beautiful and the boutique so enchanting, it's a worthy price. Neill Strain, 11 West Halkin Street, Belgravia (with a concession in Harrods too). 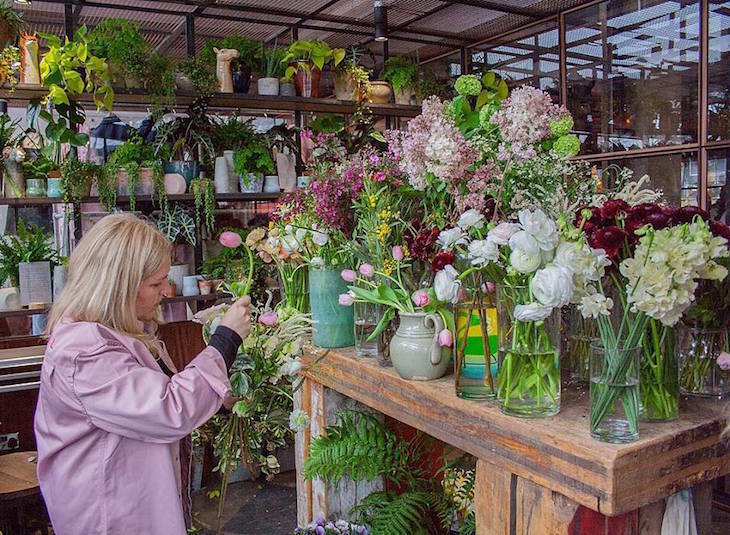 The tiny frontage of this Clerkenwell florist belies nothing of the powerhouse behind it, as it's far more than just a spot for commuters to pick up a bunch of tulips on their way home. The company has a studio down in Battersea where bouquets, table toppings and centre pieces are whipped up for all manner of weddings, parties and corporate events. But back to the Leather Lane store, whose neon sign draws passers-by in, the rest of the shop window often swamped by buckets and pots bearing flowers, pot plants... and the occasional fruit tree. 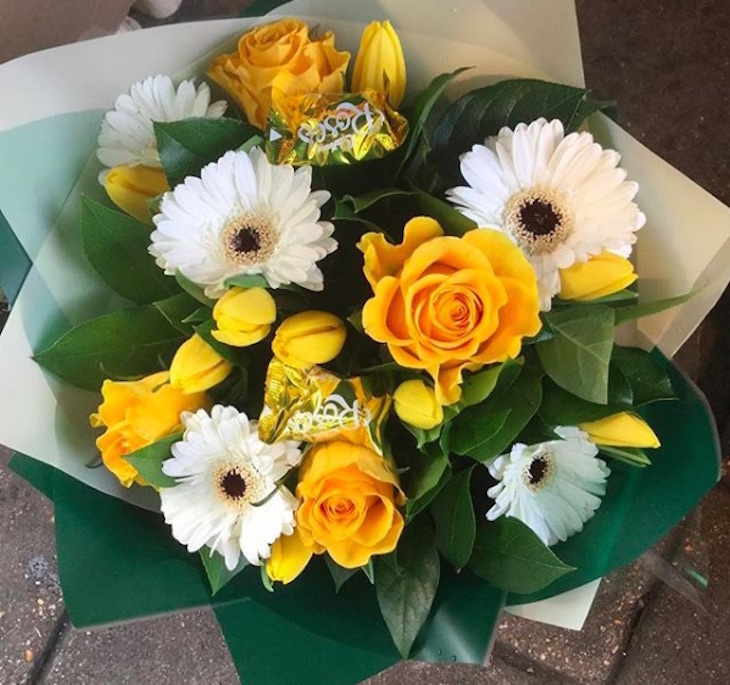 Friendly staff are more than happy to guide the flower-ignorant in choosing the ideal bouquet for the occasion, and chocolates, candles and vases are also available, meaning you can pick everything up in one foul swoop. Wildabout, 87 Clerkenwell Road, EC1R 5BX. Mare Street Market is where you'll find Rebel Rebel, a florist whose name was thought up on a whim, whose clients have included Dior and the BBC, and whose flowers have hung out with the likes of Michelle Obama. 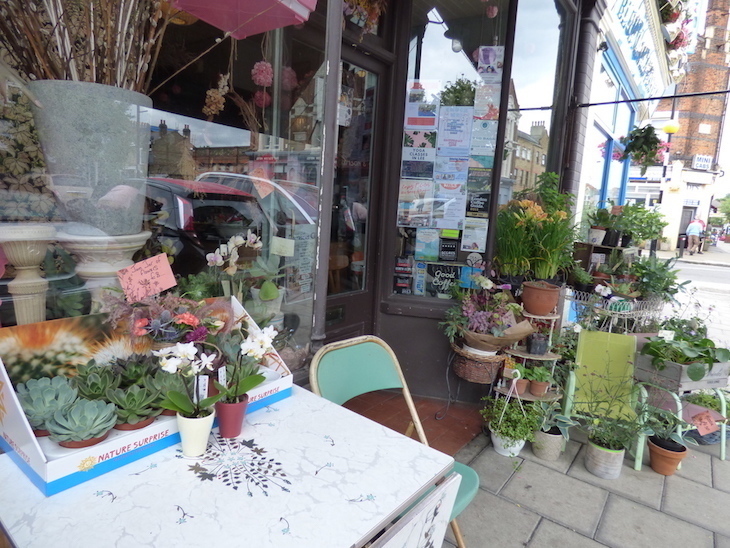 The business was established by two friends back in 2000, and has expanded to employ several florists, run workshops in London and Tuscany, and create floral displays for weddings and the like, as well as the Hackney shop. Flamboyance in the name of the game, with past bouquets inspired by the likes of Beyonce and David Bowie — in fact, almost every one of their bouquets has a musical name. One of Rebel Rebel's signature products is Flowers In A Handbag, but we're rather charmed by the bouquet on legs. Rebel Rebel, 117 Mare Street, Hackney, E8 4RU. 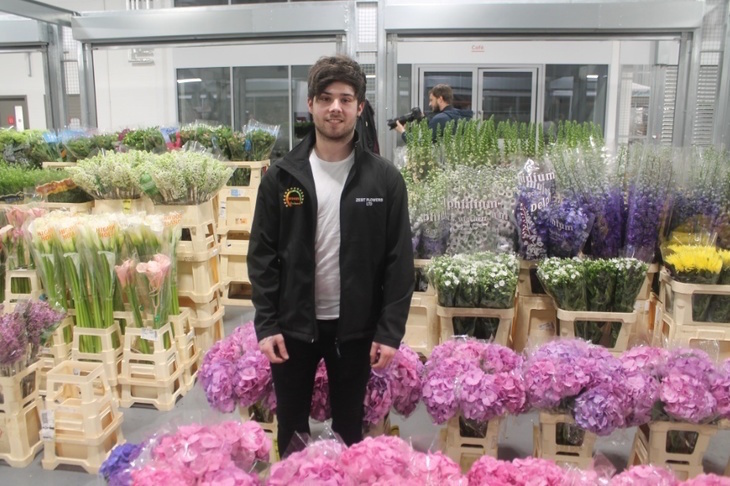 Moyses Stevens has been in business since 1876, and with florist shops dotted all over London, it's fair to say the company knows what it's doing, and it has a Royal Warrant to prove it. 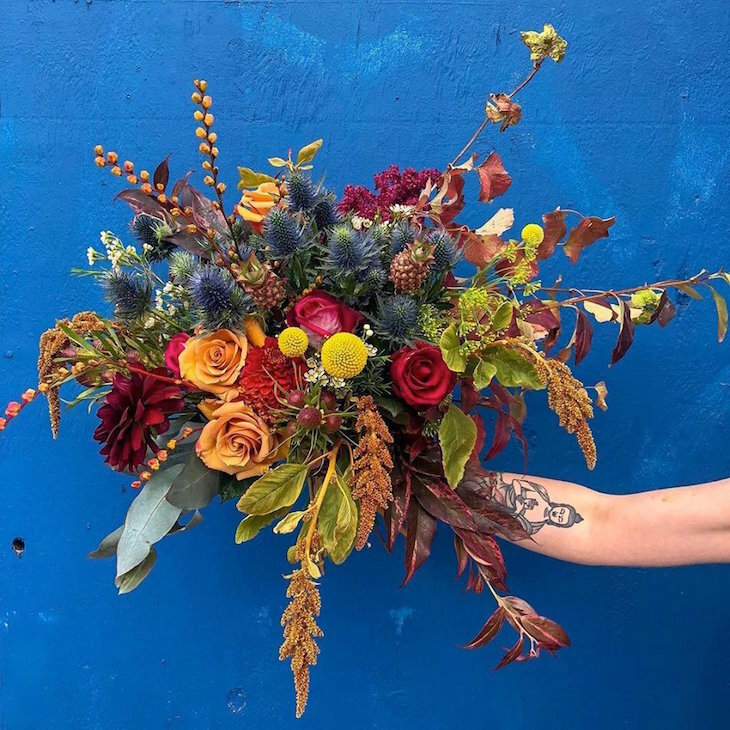 It also claims to be "the florist who invented the hand tied bouquet", and these days things are kept traditional — if extravagant — with huge, colourful bouquets that change seasonally. The Belgravia branch in particular is a hit with bloggers and Instagrammers, no doubt helped by its position close to Peggy Porschen. There's now a florist school in the Battersea Power Station development too, for anyone who wants to have a go at recreating the wares at home. Moyses Stevens Flowers, shops in Belgravia, Chelsea, Regent Street, Hampstead and St Pancras. 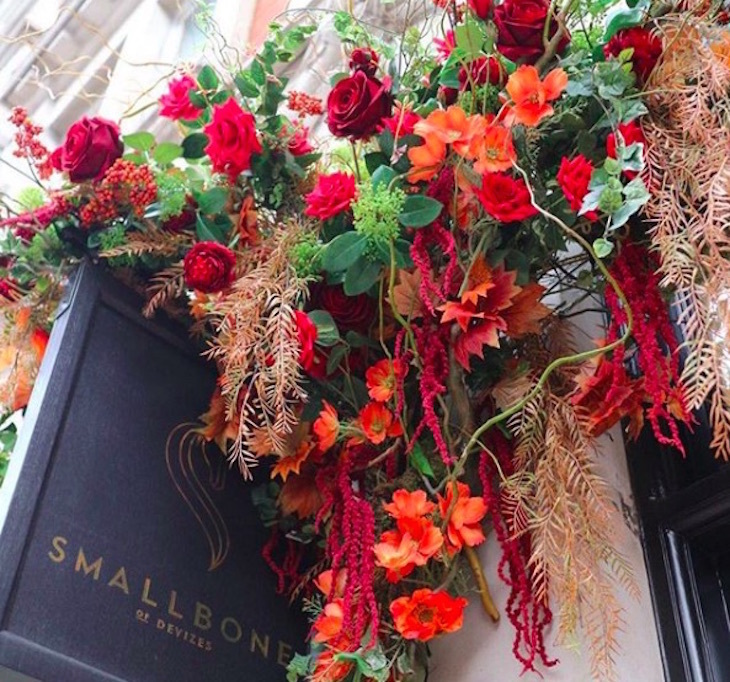 Wild at Heart is probably London's most Instagram-famous florist thanks to its location at the main entrance to Liberty department store. Sat below that Tudor frontage, the display pours out of the beautiful wooden door, and despite the regal stone lions and swarming crowds, manages to make one of London's busiest stores feel like a bucolic village store. 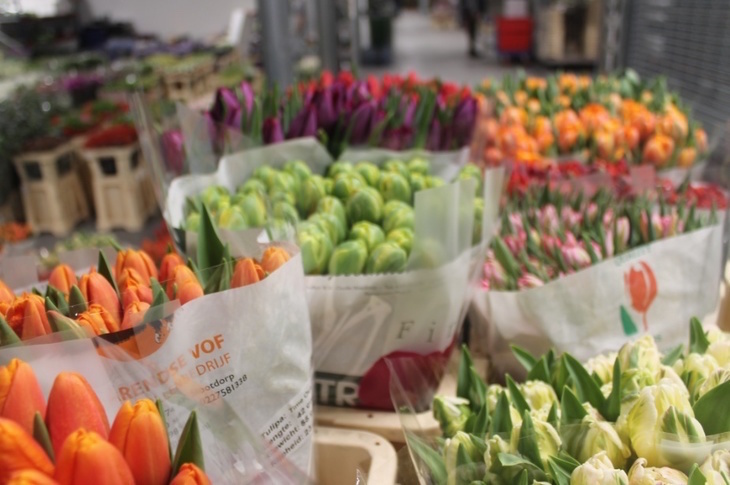 We're particular fans of the single flower bouquets — pick the recipient's favourite bloom (tulips for us, thanks) and the bouquet will be constructed entirely of that flower. Wild at Heart at Liberty of London, Great Marlborough Street (with other shops in Notting Hill and Pimlico). What began as a side-of-the-road flower stall in the 1980s, followed up by several railway station stores, has landed inside Bibendum at the impressive Michelin House building. The gorgeous mint green frontage is usually flanked by flowers on all sides, lined up in tall metal buckets like a floral army awaiting orders. 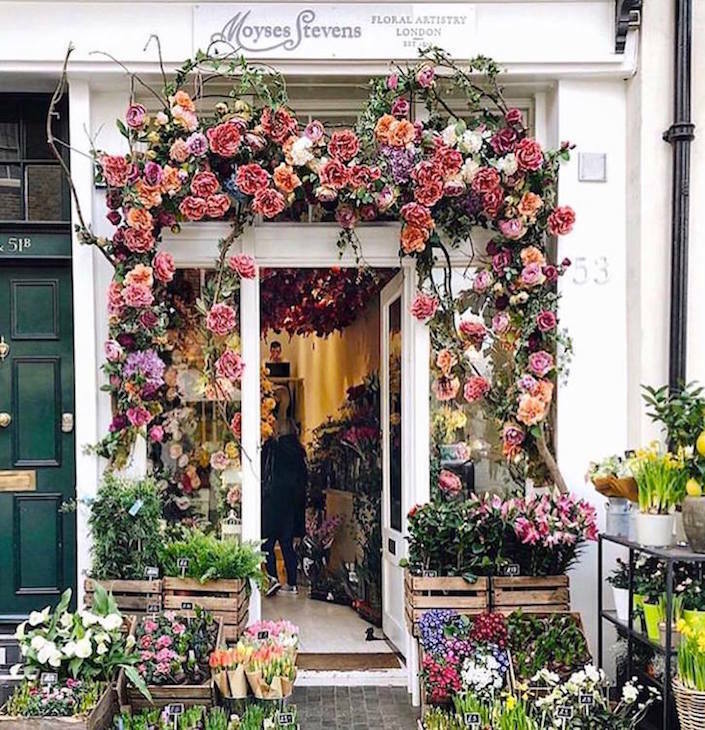 Architecturally, this is London's best flower shop by a mile (sorry, Liberty), and the products are impressive too, ranging from small arrangements to huge great bouquets for when a sentiment requires the backing of the big guns. Petals at Bibendum, Michelin House, 81 Fulham Road, SW3 6RD. Take to the streets of Hoxton on a Sunday morning, and you'll find people wandering around armed with bunches of flowers, trays of plants, lemon trees... even mini palm trees. The source of all this greenery is Columbia Road Flower Market, a haven of flowers and plants with knowledgable stallholders who dish out proper East End banter like it's going out of fashion ("Jasmine a tenner. Like your mother-in-law, it'll never die"). 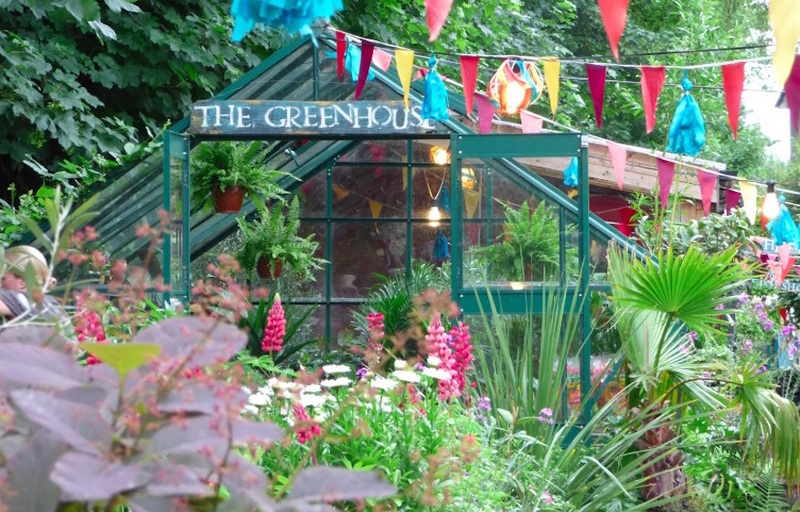 For plants and flowers, it's one of the best places in London. Cut and planted flowers, house plants, fruit trees and succulents are all sold side by side. Ready-made bouquets are less widely available here, so if it's a beautifully arranged gift you're after, you'd be better sticking with a traditional florist. Our tip? Go early. It is heaving between around 10am and 1pm, and after 1pm it's a case of making do with what's left (although stallholders often slash their prices later in the day). Get there at 8am and load up with bargains. If you thought Columbia Road's 8am start time was a bit prompt, this one probably isn't for you. But if you can get yourself down to Nine Elms for... ooh, 4am, you'll be spoilt for choice. Covent Garden Flower Market is where the majority of the capital's professional florists, including many mentioned above, source their flowers. Shipments arrive daily, refrigerated lorries and vans carrying plants from all over Europe and beyond, and the vendors here really know their stuff. It's predominantly a trade market, but it's open to the public Monday-Saturday, 4am-10am, when you're likely to find people stocking up for occasions such as weddings. It carries on the tradition from the fresh produce market that used to be held at — you guessed it — Covent Garden, moving out of central London. The current market opened in 2017, with 20 wholesalers peddling their wares. If you're buying bouquets from any of the above florists, chances are that your blooms came from here. Sure, you could cut out the middle man and buy your own flowers direct, but do you really know your way around a stem like a trained florist? They can do things with ribbon that we can only dream of. 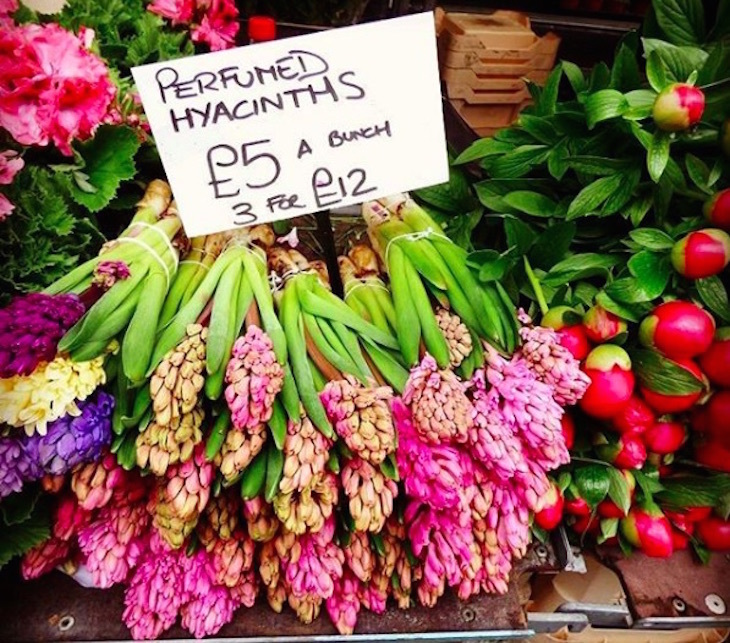 Have we missed your favourite London florist? Let us know in the comments.